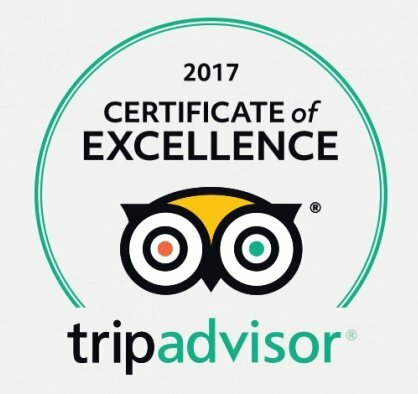 We were delighted to announce that we won a Tripadviser Certificate of Excellence Award for 2017, This prestigious Award places us in the top performing businesses worldwide, and is given to businesses that consistently earn high ratings from Tripadviser travellers. We would like to thank all of you Customers who visited us in Dingle, who wrote nice things about us , it does mean a lot to us, especially when only the top-performing 10% of businesses listed on TripAdviser receive this prestigious award. http://www.fentonsrestaurantdingle.com/wp-content/uploads/2017/08/feeton-300x81.png 0 0 Patricia Fenton http://www.fentonsrestaurantdingle.com/wp-content/uploads/2017/08/feeton-300x81.png Patricia Fenton2017-05-28 14:39:042017-09-23 17:29:14Trip Adviser 2017 Certificate of Excellence-Fenton's of Dingle. We are having a fun , week in Fentons with lots of happy people. On Wednesday we had Pat O Connor and his Rick Steves group for dinner. I arranged for Felicity Hayes McCoy, Author of ‘ A House on an Irish Hillside’ to pop in and tell us a little about her life in London and Dingle. Felicity’s Husband Wilf Judd , an English Opera Director took some photographs of the evening. Hopefully, they will be on the The House on an Irish Hillsides Facebook shortly. Last night we were honoured to have an 93 year old and his wonderful family dine with us . His name is Mick Carney and he is celebrating the Gathering on the Great Blasket today.He is the oldest living native Blasket Islander and he is launching his book this evening, ‘From the Great Blasket to America , a story of his life from when he left the Island in 1937. We wish him well and hope the Carney Clan have a wonderful gathering. It is a beautiful sunny day in Dingle today so it is time for me to sign off and do some gardening. http://www.fentonsrestaurantdingle.com/wp-content/uploads/2017/08/feeton-300x81.png 0 0 Patricia Fenton http://www.fentonsrestaurantdingle.com/wp-content/uploads/2017/08/feeton-300x81.png Patricia Fenton2013-05-24 10:12:262013-05-24 10:12:26Let the Gathering begin on the Dingle Peninsula. We are back at the helm in Fentons. We are feeling quite chuffed as we have had a makeover we think we look very pretty. All those who have passed through the doors in the last two days love our new look ! I will post some photographs in the next few weeks. We are 28 years in business this year and just thought a new colour scheme was the way forward. I chose a lovely Sophie Conran wallpaper for a feature wall and then everything else fell into place. I had great help from my Darling Husband John and my Painter Niall Kennedy aka Goosle. The restaurant has a Holiday/Nautical theme with lots of cushions, buntings and mad Tulips at the moment. The walled patio garden is work in progress, the trees, shrubs and the trailing rose were all pruned in Spring time.We will continue the rest of the gardening when the storm blows over. We have lots of great ideas for our menu, and some great value wines. We hope to reintroduce our two course dinner and wine for 2 for 60€ in the next few days , watch this space. http://www.fentonsrestaurantdingle.com/wp-content/uploads/2017/08/feeton-300x81.png 0 0 Patricia Fenton http://www.fentonsrestaurantdingle.com/wp-content/uploads/2017/08/feeton-300x81.png Patricia Fenton2013-05-08 21:20:412013-05-08 21:20:4128 years in Business @dinglefentons. Sunshine for a little while today ,lifted the spirits. Lots of Americans in for lunch and Dinner celebrating their special day. Patio garden is coming along nicely and baskets are beginning to flower. Tomorrow it’s a Patio Day , have to set some Rocket and keep Head Chef Trina Happy. Good night all. tomorrow is another day. It was time last week no matter the weather to get get a handle on the garden. Weather has not been kind to us this summer, but the pressure was on. We normally have a patio full of flowers by July so I knew something had to be done. I am now looking out at the patio and I some herbs planted, baskets of Strawberries and flowers. I need a sunny day or two now to finish the task so fingers crossed that will happen too. Programme starts at 9pm..lots of Music with Aoife Granville of Dinglefest, and neighbours, Noreen Curran telling stories about the making of Ryans Daughter, and the actors involved. Mary Nelligan-Farrell has tales about Dingle Hospital..
Radio Kerry Sunday night broadcast from Fentons Restaurant, Dingle, Co Kerry. RadioKerry, broadcast from Fentons Restaurant , Dingle, available on the net Sunday 17th June 2012..with the stars of show, Green Street Residents, music and chat with Sean Hurley, The KerryWide Programme,..at 9p.m. Should make fun interesting listening for all, at home and over seas. http://www.fentonsrestaurantdingle.com/wp-content/uploads/2017/08/feeton-300x81.png 0 0 Patricia Fenton http://www.fentonsrestaurantdingle.com/wp-content/uploads/2017/08/feeton-300x81.png Patricia Fenton2012-06-15 13:16:112012-06-15 13:16:11Radio Kerry Sunday night broadcast from Fentons Restaurant, Dingle, Co Kerry. Americian Film Crew visits Fentons–Movie Stars. We were filmed today by an New York based film crew a travel programme visiting Dingle. a blustery day for them. 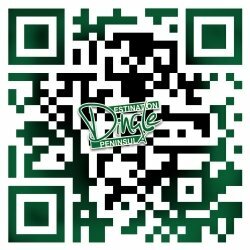 http://www.fentonsrestaurantdingle.com/wp-content/uploads/2017/08/feeton-300x81.png 0 0 Patricia Fenton http://www.fentonsrestaurantdingle.com/wp-content/uploads/2017/08/feeton-300x81.png Patricia Fenton2012-06-14 19:26:022012-06-14 19:26:02Americian Film Crew visits Fentons--Movie Stars.